Tech in the consumer sector can be a godsend–depending on its use case. Large museums may receive weighty investments and resources, but medium-and small-sized museums are often left wanting. Fluxguide needed to find a solution that was affordable for those small budgets but also valuable enough to users to really make a difference. On top of that, they needed to maintain the integrity of the museum itself. Can museum goers use tech while still getting the complete museum experience? Fluxguide hoped so. It started with a pilot exhibition. The initial demos were difficult but provided proof that Bluetooth beacons worked, powering an educational museum experience in an unobtrusive package. Fluxguide quickly learned the ropes, customizing and carefully planning deployments around each museum in order to optimize results and minimize errors in proximity data. They also focused on building a program that was easy to use for non-techies.  Beacons have brought them a significant advantage in the market. “We have 10+ projects which we would have lost without iBeacon technology,” explains Fluxguide. Fluxguide joined forces with the University of Applied Arts Vienna in developing the „personal.curator“ system. 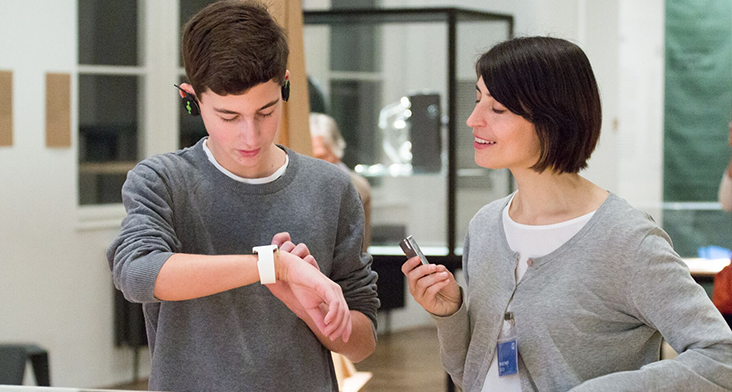 It enables museums to use smartwatches for visitors to receive context sensitive interpretation via Kontakt.io beacons. The system was rolled out at the the Museum of Applied Arts, an exhibit on handicrafts in the modern world. The exhibit, titled handiCRAFT: Traditional Skills in the Digital Age, examined differents types of handicrafts and offered an interactive experience using smartwatches. These smartwatches helped the user understand their own opinions and opportunities in the space of handicrafts, asking whether they would prefer a work that made money or was fun. All of this content was delivered by Kontakt.io beacons deployed around the space. The personal.curator project is one powerful example of IoT not only bringing museums into the future but giving the arts a new outlet. With creative use, beacons can artists and art-lovers alike find all-new insights and opportunities.